At the same time, though, the Trump administration has undervalued another important factor that contributes to mortality — climate change. By slashing the social cost of carbon, which places a monetary value on damages caused by greenhouse gases, the White House might be suggesting that its effort to allow more gasoline to be used in cars won't incur a significant cost on the environment and people's health. "It's hard to say what the logic is or what the thought is from the EPA in the Trump administration," said Carla Bailo, president for the Center of Automotive Research and a member of the National Academies of Sciences, Engineering and Medicine fuel economy committee. "I can't say that they're looking into it holistically and looking at all those factors. But what I can say is that they should be." The Trump administration is expected to announce its weakened car rules tomorrow, according to a source who's knowledgeable about the timing. The Obama administration set a goal of 54.5 mpg in passenger vehicles by model year 2025. Trump's plan would freeze the standard at 2020 levels, or 43.7 mpg, according to a leaked draft obtained by The New York Times. In practical terms, the change would reduce real-world fuel economy from about 36 mpg to 30 mpg. The plan also considers revoking a provision that allows California to exceed federal vehicle standards. A dozen other states and the District of Columbia use California's standards. Yet he noted that most of the benefits — up to 85 percent — from the Obama-era standards came from the expected fuel savings that motorists would experience over the lifetime of their vehicle. Societal gains from reducing pollution or thwarting climate change were far from central to making the math work. He said the efficiency targets will do little good for the environment if they're too expensive to get on the road in the first place. "CAFE is not a public health regulation," said Graham, who is a member of EPA's Science Advisory Board. "It's possible that global air pollution will be worse with the higher fuel efficiency target." "There is some evidence, I think, supporting that tighter standards are going to delay turnover," said Joshua Linn, at senior fellow at think tank Resources for the Future. "The customer, year over year, they expect the fuel economy to go up. That's a natural expectation. And automakers are working on a global platform," Bailo said. "This is just the way things are going." The arguments about a slower turnover of the car fleet wouldn't alone justify weaker standards, Linn said. That's where the Trump administration's move to lower the social cost of carbon could help tip the balance. The draft proposal noted that the social cost of carbon would account for only domestic, not global, health benefits. That, Linn said in a recent paper, could reduce the value of climate benefits from the Obama-era car rules by 87 percent. "You're setting the social cost of carbon essentially to zero," Linn said. "You're making this a policy about consumers being better off. There's no consideration of social benefits." EPA cannot discount the air emissions part of the equation when weighing whether to roll back the vehicle efficiency rules, said William Schlesinger, a member of the agency's Science Advisory Board and the former dean of the Nicholas School of the Environment at Duke University. Any attempt to justify the rollback with traffic fatality numbers must also incorporate premature deaths from air pollution, he said. Millions of people worldwide die from air pollution, which is supported by an extensive body of research that can't be ignored when weighing regulations related to one of the major global sources of that pollution, Schlesinger added. "The science is clear that air pollution kills people, particularly particulates," he said. "You would have to estimate what a fleet of nationwide heavier vehicles would mean in terms of mileage or heavy pollution, and do the same for lighter vehicles." But that's a hard case to make. Showing the risks of climate change, stemming from tailpipes, is a lot more difficult than counting the number of traffic fatalities, said Jeff Holmstead, a former EPA air chief under President George W. Bush. "They're just completely different issues. The data on traffic fatalities is much more obvious," said Holmstead, who is now a lawyer at Bracewell LLP. Even traffic deaths aren't entirely clear. Bailo noted that 94 percent of accidents are caused by human error. Factors like weather and road conditions matter, too. CAFE opponents have been shifting their criticism after research had thrown cold water on their first line of attack: "down-weighting." That's the idea that automakers would focus almost entirely on making cars and trucks lighter to meet fuel marks. Those lighter vehicles are inherently less safe if involved in a crash with older, heavier models that would still be on the road, according to opponents of the CAFE program. "The problem with that argument is that it didn't take into account that all of the light-duty vehicles would be made lighter and the cars weren't made smaller," he said. That leads to a simple physics equation — if all cars are lighter, there's less kinetic energy involved in any crash. Therefore, the force between two vehicles is reduced when they collide. 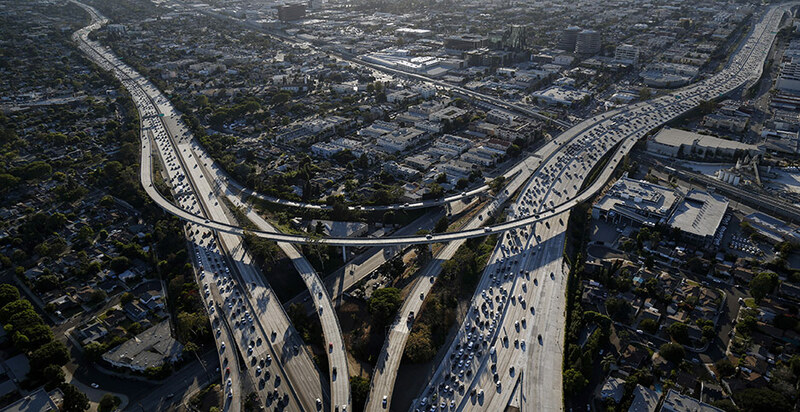 The Obama-era standards incentivize reducing mass in the heaviest of vehicles to reduce the spread between vehicle weights across all classes, said Tom Wenzel, a research scientist at the Lawrence Berkeley National Laboratory's energy efficiency standards group. Wenzel's research has replicated recent NHTSA studies showing that carmakers can reduce mass while maintaining a vehicle's footprint — the space between four wheels — and cause the same number of deaths, or possibly fewer. He was looking into whether a shrinking weight disparity between vehicles on the road also led to fewer fatalities, but the Energy Department stopped funding his research into that question last year. "I don't think anyone was trying to prevent this from being analyzed," Wenzel said. "We've done this study for many years. We've kind of resolved the issue that mass reductions do not inherently increase fatalities." In addition to a fight over the validity of the administration's safety analysis, the rollback could be legally vulnerable if it attempts to claim that car emissions are not a big contributor to greenhouse gas inventory, said Margo Oge, who headed EPA's transportation office under Obama. In 2017, the transportation sector accounted for more greenhouse gas emissions than power plants. It was the first time. "They would have a pretty big legal challenge that they are not paying the right attention on the analysis of the greenhouse gas emissions," she said. "They are going to have to say that the emissions from cars are not endangering public health and the environment, which they cannot do, downplaying climate analysis and air pollution." A "massive court battle" is on the horizon between the federal government and California, plus the states that use its emissions standards, as a result of the rollback, said Michael Gerrard, director of the Sabin Center for Climate Change Law at Columbia University. The way the administration accounts for greenhouse gases as a result of increased fuel consumption will be a major part of that case. He said the only way the administration would succeed in court is with a serious quantitative analysis that also considers air pollution levels and mortality rates related to them alongside traffic fatalities. If the administration hasn't done that work, then it seems impossible to make a legally sound claim that traffic deaths would overcome deaths related to air pollution from more auto emissions, he said. "Emissions are the central focus of the Clean Air Act, and so any decision that is founded on the Clean Air Act necessarily has to take a serious look at air pollution," Gerrard said.